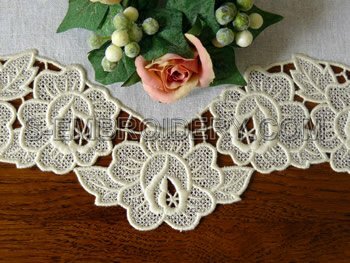 A set of 3 freestanding lace machine embroidery designs. 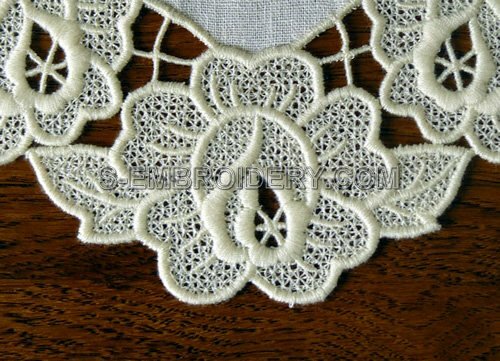 Use in combination with suitable fabric (e.g. 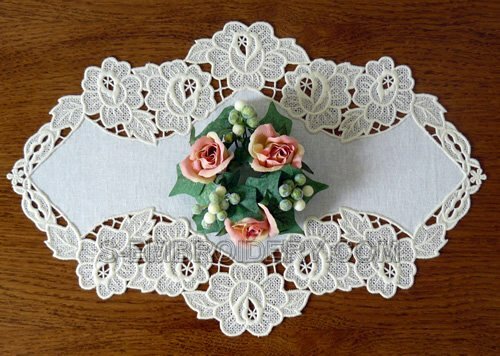 linen) to create a nice rose doily with a size of approximately 16 x 11 inches (41 x 27.8 cm). 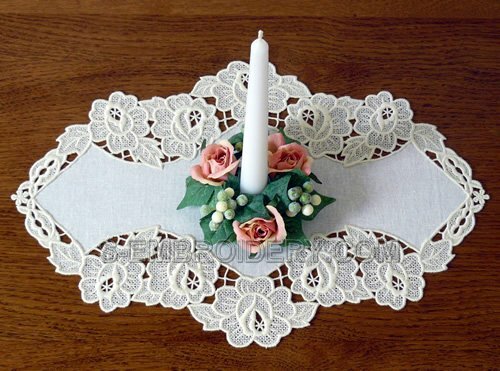 The set comes with instructions for stitching out and putting the doily together. Call me old fashion but I think these are beautiful.